Paul Davis, a Lawrence Democrat, said Thursday that he is considering a run for the 2nd District seat being vacated by U.S. Rep. Lynn Jenkins. Editor’s note: This story was updated at 6 p.m. April 13. 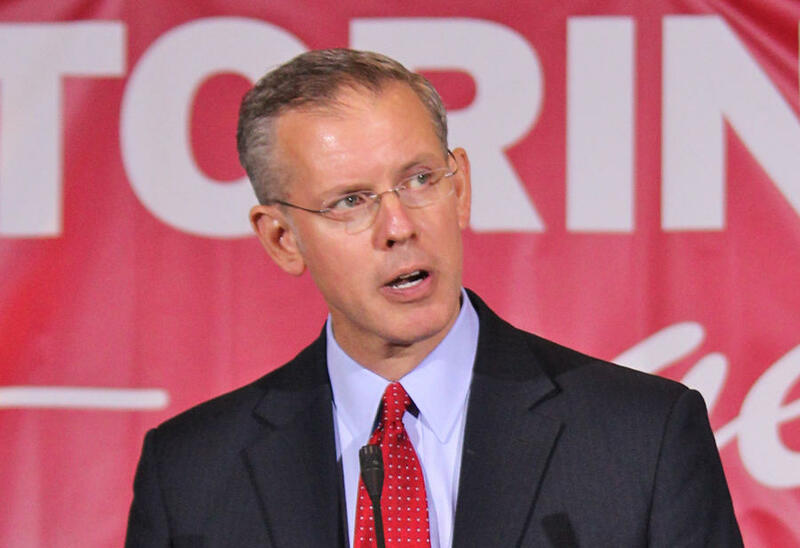 Paul Davis, a former legislator and Democratic candidate for Kansas governor, said Thursday he is considering a run for the 2nd District congressional seat being vacated by U.S. Rep. Lynn Jenkins. Davis narrowly lost to incumbent Republican Sam Brownback in the 2014 race for governor. Davis is from Lawrence and served as the Democratic leader in the Kansas House of Representatives. In an interview Thursday, Davis said he has concerns about some of President Donald Trump’s proposed policies. Davis had been rumored as a candidate for governor in 2018, but he’s instead pinning his hopes on the congressional seat. “Congress right now desperately needs people who are going to attack the problems that people want to have addressed,” he said. Tops among those issues is the economy, which Davis said “just is not working for middle-class and lower-income Americans. “We see an economy where big corporations and people at the top end of the income scale are just doing better and better,” he said. Davis is the most recent person to announce interest in the seat since Jenkins announced in January that she won’t run for re-election or any other political office in 2018. Republican State Sen. Steve Fitzgerald said earlier this month that he would run for the job. In an interview Thursday, Fitzgerald said he believes he can keep the seat in Republican hands. “We need a Congress that’s going to help President Trump achieve the agenda that the American people voted for,” said Fitzgerald, of Leavenworth. He also said he would work to boost the economy, and part of that would include reducing federal regulations. “It will be liberating for the economy, for business, for the states, and I think we will regain a lot of the energy that we need in order to move forward,” Fitzgerald said. While it’s never easy for anyone going to Congress for a first term, he said, he pointed to his work in the political “trenches” in the Legislature, local school board and for the state Republican Party as experience that will help him quickly get up to speed. Fitzgerald recently made some headlines when he compared Planned Parenthood to Nazis. A Blip Or A Trend? The 2nd District seat covers much of eastern Kansas and includes Topeka, Lawrence and Pittsburg. Patrick Miller, a political science professor at the University of Kansas, said the competitiveness of the race will hinge on a number of factors, such as the quality of the candidates and the popularity of Trump. “(The district) leans Republican, but there’s a healthy Democratic base to it, and under the right conditions Democrats can put it in contention,” he said. 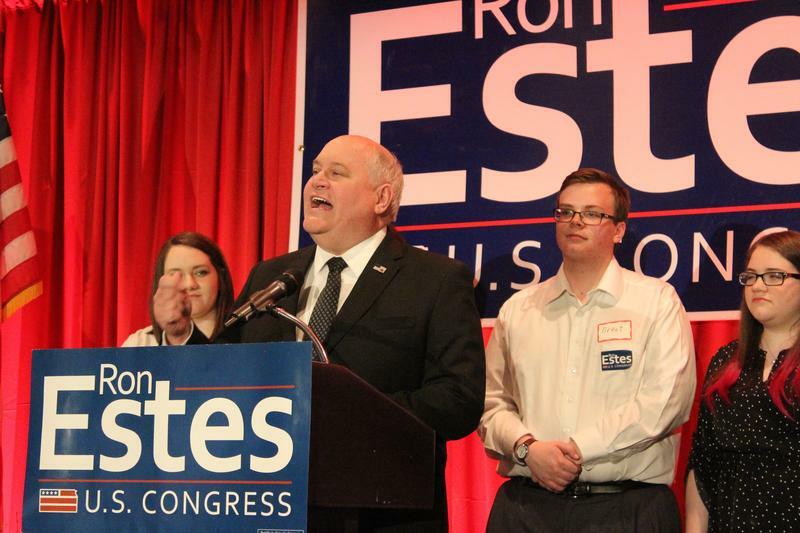 Republican Kansas Treasurer Ron Estes beat Democrat James Thompson in a special election this week for the 4th District congressional seat in the Wichita region. Estes won with 53 percent of the vote, compared to Thompson’s 46 percent. While Davis pointed to the 4th District results and said they show “a lot of support” for Democrats, Miller suggested that people shouldn’t draw conclusions from the 4th District results until after some other upcoming special elections for Congress. “This could be a blip, but it could also be the start of a trend,” Miller said. Vernon Fields, a city council member in Basehor, filed to run as a Republican for the 2nd District. Democrat Kelly Standley also has said he will run for the seat. Stephen Koranda is Statehouse reporter for Kansas Public Radio, a partner in the Kansas News Service. 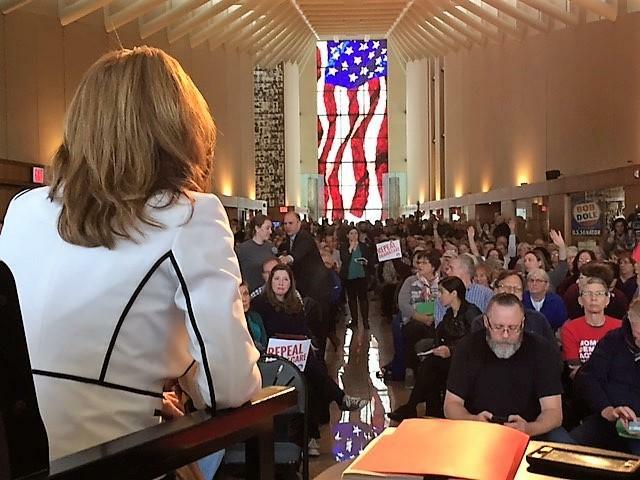 Kansas 2nd District Congresswoman Lynn Jenkins was jeered Monday at a town hall meeting in Lawrence for defending President Donald Trump and the Republican plan to replace the Affordable Care Act. Editor’s note: This story was updated at 3:45 p.m. Jan. 25. 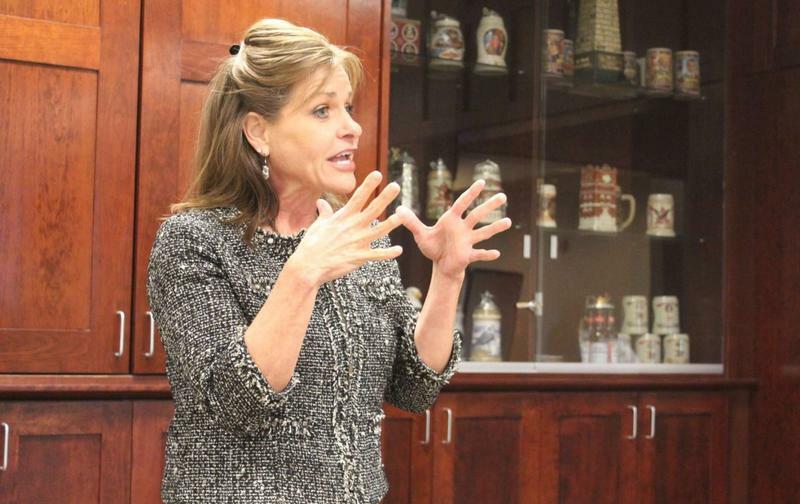 Kansas 2nd District Republican Congresswoman Lynn Jenkins said Wednesday she will leave her seat at the end of this term and explore jobs in the private sector. There have been rumors about Jenkins running for Kansas governor in 2018, as Gov. Sam Brownback’s second term will be ending. In a statement, Jenkins seemed to put those rumors to rest.